Here's the second artbook from the Heroes & Heroines series. 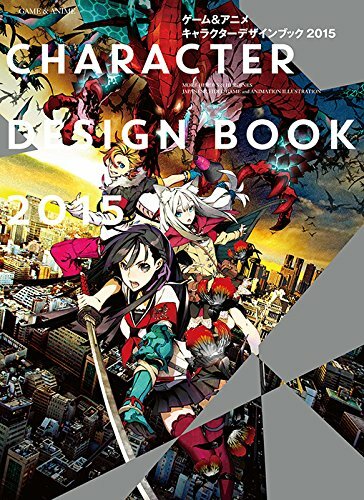 The first artbook was published in 2011. It's great to see another volume after three years. It's still a 208-page paperback. Text is in both Japanese and English. This time, 63 artists are featured. These are all artists who draw for animation and video games. There's also an interview with the character designer Miwa Shirow of 7th Dragon 2020-ii. The works featured are the main character designs. It's a fantastic character design reference book because there are so many characters to check out. The variety is incredible. I only know of a few titles, such as Persona4, Metal Gear Solid V, Kill la Kill and the rest are all new to me. It's really difficult to catch up with what's being released in Japan so this book is a nice sample of the art used in the games and animation from 2012 to 2014. Oh, the artworks are fantastic. Highly recommended to those who like Japanese characters. It's wonderful reference book to those into character design or manga drawing as well.